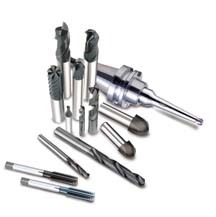 Welcome to J.D.TOOL, a local distributor of industrial tooling, abrasives, and machinery. Thank you for visiting our site. As an up-to-date business, we want to give you the opportunity to stay in touch with the variety of products and services that we offer. You can reach us at 607-786-3129 and by fax at 607-786-0655. We are looking forward to hearing from you. You can also contact us at our e-mail address: jeff@jdtool.net. If you are not familiar with our company and your first contact with us is this website, we would be pleased to hear from you! Please let us know what your needs and questions are, and we will be more than happy to provide you with a prompt response. J.D.Tool was established in 1999 and has been responsible for providing outstanding tooling products and solutions to the region ever since.